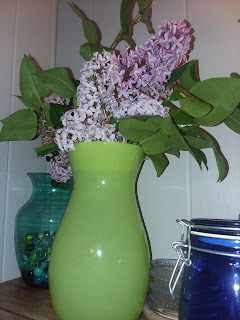 I love lilacs - ours are not quite ready to cut a bunch, but I will get some in the house. They will have to go to a high place, too as Bella will tip anything that has water in it. My lilacs are blooming beautifully. But it is pouring here too.